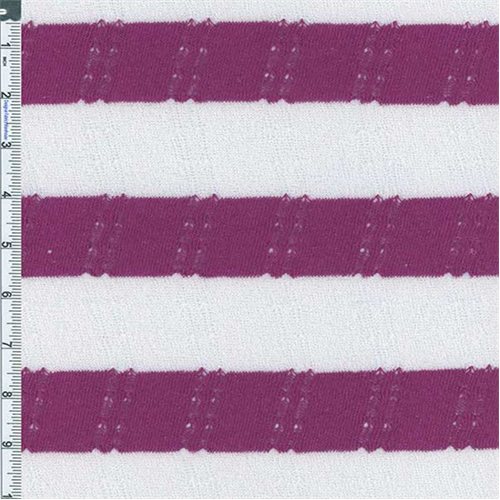 Drop-needle Hatchi Sweater Knit Stripe Fabric By the Yard, Fuchsia /White. Opaque stripes of blended cotton / linen contrast with bands of subtly shiney hi-twist poly yarns. Mechanical widthwise and lengthwise stretch (no added spandex). Ultra light-weight, see-through, drapable - suitable for overlay crochet style tops, scarves, wraps, and trims.